Society for Collective Awakening was created in August 2011 as a non-denominational educational Society on Spiritual matters; to fulfill the vision of supporting the awakening of Humanity during the shifts in our collective consciousness in 2012 and beyond. Society For Collective Awakening provides our educational mission in service to the greater awakening of those seeking the timeless mysteries of spiritual awareness. We provide our content in many forms and media, such as this website www.beinghood.com, our Proclamation of Beinghood, our website about The Ten Terrains of Consciousness and our books, articles, presentations and seminars. Rather than being anchored in particular political philosophies or particular religious views, etc. Society For Collective Awakening is anchored in universally recognized principles of ethics in international law, justice, human rights, peace, conflict resolution, social justice and other universal values. The seeking of truthful information as a foundation for a just and free society, and as a basis for informed participation in political discourse, is universal. Only a fully informed Sovereign Being can act responsibly and make authentic choices. Society For Collective Awakening believes that we all incarnate into human life with an innate and unique Genius as individual as our fingerprints, and when we come into alignment with who we are meant to BE, our life opens up to our full potential. Becoming a fully realized and Sovereign Being within your Self is our only true purpose for coming into life. To become a fully Sovereign Being, you need to awaken to your inner authority and intuitive Genius. As such, you can make your own authentic choices, live the life you were born to live, and step fully into your BEINGHOOD. When we Sovereign Beings all come together as “The Beinghood” - a community of awakened Souls working together in harmony and synarchy for the greater good of all - we will usher in a new golden age of enlightenment. The Mission of Society For Collective Awakening is to see everyone achieve their full Soul potential they incarnated to BE, and to help guide Humanity to reconnect with our true nature as one infinite Consciousness. (d) create the world as you wish it to BE in the years to come. 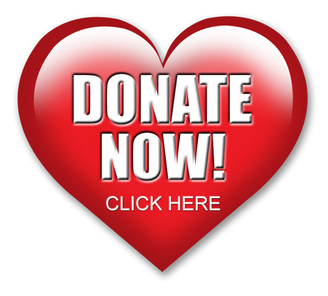 Because Society For Collective Awakening is a global not-for-profit educational Society, we require the financial support of like-minded and like-hearted members who believe in our Society’s vision. and keep our work growing!